While we are all playing with our new Uncanny X-Men characters, fine tuning our strategies before we post about them, enjoy some more rampant speculation. Piggybacking off of the latest podcast, (despite this was written prior to me listening to the latest podcast) this week I’d like to explore the possibilities of a few new team affiliations. I know that we are 2 sets in, and have only had 3 major affiliations, while the Fantastic Four has a measly 3 members. I think there are a few ideas, based on current Marvel storylines, t.v. shows, and movies that this game could take advantage of. <b style="mso-bidi-font-weight: normal;">Spider-Man team affiliation:[/b] Currently in comics, there is a very fun story going on regarding the Spider-Verse where different Spider-People are called to come together from different realities and universes. 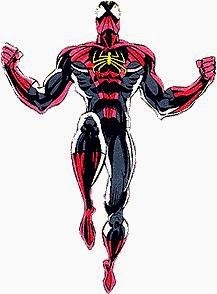 We have our traditional Peter Parker Spider-Man; we have the Ultimate universe’s Spider-Man: Miles Morales; the futuristic Spider-Man 2099; the Superior Spider-Man where Otto Octavious’s mind is in control of the web-slinger, and alternate reality Spider-Woman where Gwen Stacy gained spider powers… If Wizkids released a set with these Spider-People I think putting them all on a Spider-Man team would be ideal. You could even include characters that have their roots in the Spider-Man mythos, like Black Cat, Venom, Sandman, and The Slingers. 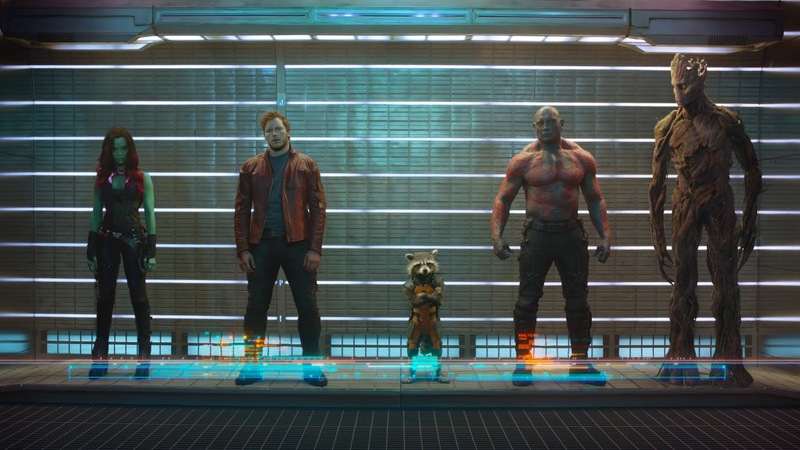 <b style="mso-bidi-font-weight: normal;">Guardians of the Galaxy:[/b] We already have confirmed that Groot and Rocket Raccoon will be in the upcoming Age of Ultron set. As of right now, we really only have one cosmic character in all of Marvel Dice Masters, and that’s the Silver Surfer, two if you count Nova. (I do not count Nova. Nova was an earth-based C list hero at best for most of his young career. Only during the events of Annihilation was he given a power boost and started exploring the universe to protect in the name of the Nova Corps. The Nova we have in AvX, I believe, is based on Nova before he got his power upgrade.) I mentioned Annihilation. That series is what breathed new life in to Marvel’s cosmic characters. Without Annihilation, and the success of Nova, the Guardians of the Galaxy series that the movie is based on may never had seen the light of day. Star Lord, Drax the Destroyer, Gamora, Rocket Raccoon, and Groot are now household names in part because of the Annihilation storyline. In a cosmic-centered expansion from Wizkids, we could see the Guardians roster, a revamped Fantastic Four, characters like Annihilus, Super Skrull, a powered up Nova, the Inhumans, and so many more. But, a core team affiliation like the Guardians would give new fans of those characters something to latch on to. Hopefully Groot and Rocket have this team affiliation, instead of being left unaffiliated. <b style="mso-bidi-font-weight: normal;">Defenders:[/b] Now, there have been quite a few versions of this team through the years. The roster I’m looking at is what Marvel’s Netflix series are building towards. These Defenders are the street-level protectors of Hell’s Kitchen in New York City. 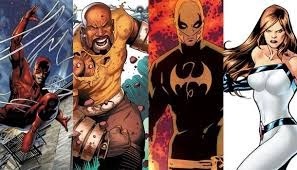 Daredevil (who has been confirmed for Age of Ultron), Luke Cage, Iron Fist, and Jessica Jones are all getting their own Netflix series, then Marvel plans to have all four series tie in together, and launch in to a Defenders t.v. series. None of these characters exist in Marvel Dice Masters yet, and I think it would be great to bring them all in at once, as if to say, “The Defenders have arrived.” I am very confident that we will see all four of these characters within the next expansion or two, the only question is if they will have the Defenders affiliation or not. 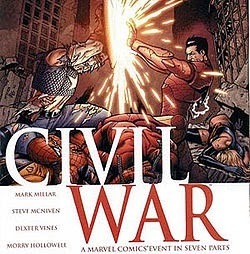 <b style="mso-bidi-font-weight: normal;">Secret Avengers/Mighty Avengers:[/b] Marvel’s Civil War was one of the most conversation-starting events in recent memory, way back in 2006. Let me explain… no, there is no time. Let me sum up. After a few young heroes got in over their heads taking on a group of villains to increase ratings for their reality t.v. show, an elementary school was caught in the blast zone of an explosion causing the deaths of hundreds of children. The government pushed for a Super Human Registration Act where all costumed vigilantes must register and receive proper training with the government. This also meant revealing their secret identities to be stored in a government database. Any costumed hero who did not registered would be arrested. This split the super human community. Captain America and Iron man lead the two opposing sides. Iron Man believed in the registration to weed out and train people who had no business trying to be heroes, while Captain America only saw the evils of registering with the government, being told who the bad guys are. The two team affiliations could be Captain America’s Secret Avengers and Iron Man’s Mighty Avengers. (These are actually the titles of the two comics that focused on each team following the events of the Civil War.) They still act as Avengers when interacting with other expansions of Marvel Dice Masters, but a fun event rule would be that a player cannot have a Secret Avenger and Mighty Avenger fielded at the same time. Now, there are a few things I specifically do NOT want to see with Affiliations. <b style="mso-bidi-font-weight: normal;">No multiple affiliations per card:[/b] Yes, I know that Wolverine is a member of the X-Men, sometimes an Avenger, a brainwashed Villain, and there’s an alternate version of Wolverine who has been a member of the Fantastic Four. Hey, I’m fine with any of those, but I really like cards having only one affiliation. We have different versions and different cards with different artwork for a reason. Each card should represent a different moment in time for that character. So if they wanted to release the alternate lineup of the Fantastic Four I mentioned above with Wolverine, Ghost Rider, Hulk, and Spider-Man then that’s great. Just don’t give a character more than one team affiliation at a time. <b style="mso-bidi-font-weight: normal;">Do not introduce multiple Villain affiliations: [/b]I would have been fine with this if they did it from the beginning. To borrow from another Wizkids game, Heroclix, they have the Brotherhood of Evil Mutants, Masters of Evil, Hydra, Minions of Doom, the Sinister Syndicate, and possibly others since I stopped playing. That would have been cool, from the beginning. But now that they have all of these villains under one team affiliation, it NEEDS to stay that way. This game is moving towards the idea of relying heavily on team affiliations, and I feel the Villains can be a massive centerpiece of this game moving forward, as long as they stay together. <b style="mso-bidi-font-weight: normal;">Do not abandon team affiliations:[/b] I was afraid this might happen with the Phoenix Force. So far we have Colossus, Cyclops, and the Phoenix Force itself. That’s it. One of the Event Prize sets for UXM is called the “Phoenix Saga set”. All we know about it is that Emma Frost, Marvel Girl, and Phoenix are the three characters in the set. Hopefully we get the Phoenix 5 version of Emma, Marvel Girl as a young Jean Grey gaining the Phoenix Force for the very first time, and the Phoenix from AvX could possibly have a green costumed Phoenix, a red costumed Dark Phoenix, or even the white costumed Phoenix that appears to be the “purest” of Jean’s Phoenix forms. However there is no guarantee at this point that any or all of them will have the Phoenix Force team affiliation. Based on the remaining characters we have in both AvX and UXM, we could have Namor or Magik as possible members of this Phoenix Force team. Hope Summers and Rachel Summers are both characters in the comics who they could bring in to Dice Masters and give that team affiliation to, as well as Spider-Phoenix. (It’s a very cool, one-time deal that only happened in an illusion, but still awesome I mean, check out this picture.) I just don’t want to see them give up on team affiliations, making them outdated. As of now, it looks like we are safe. After rereading that last paragraph about the Phoenix Force team, I just wanted to clarify, I don’t need as many members of the Phoenix Force as there are X-Men, Avengers, of even Fantastic Four (although, after the UXM prizes, we will potentially have MORE Phoenix Force members than Fantastic Four). 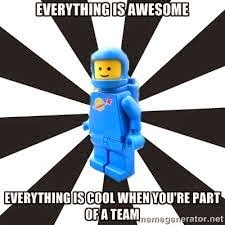 But when all is said and done, I’d at least like to have 7 or 8 members of that team. So if someone decides to build a deck around the Phoenix Force team affiliation, it’s possible. And I know darn well that Spider-Phoenix will never happen, but it’s a dream. Keep your eyes on The Reserve Pool as we begin to roll out some of our Uncanny X-Men strategies and combos in the coming weeks. As always, roll on. I would like to see them do something with the original non-disney big hero 6. Small team so they'd probably be unaffiliated but it would still be cool to have and I'd love to see what they'd do effect wise for characters like fredzilla and baymax. I'd also like to see them do something with all the symbiotes, carnage, anti-venom, agent venom, toxin, the whole 9 yards. That's my dice masters wish list for now. The idea about teams really worked well on Upper Deck Entertainment's VS System TCG. We can do neat stuff only with characters with the same affiliation (preventing a &quot;Trampling&quot; effect, etc). In Dice Masters, it's almost existent. Archvillain cards, Teamwork and Nick are a step in the right direction. But seriously, WK needs to make team affiliation matters even more. They're a big deal in the comics, we should feel something like that too in the DM game. Different teams should provide different bonuses. Agree that villains should remain the same.... for now. 1-2 years from now, it would make more sense if there's Masters of Evil, Brotherhood, Sinister Six, etc. Totally agree - Wolverine should get a bonus when Colossus is active. I actually have a house rule about that that's lots of fun. What's the house rule and does it have to be a specific wolverine and colossus or any? Totally agree about Fastball Special. If it was me, I'd make it say &quot;Target 2 X-Men characters in your field. One cannot attack this turn, and the other is unblockable.&quot; I know that leaves it open to way more than just Colossus/Wolverine, but I think it would be too crazy to have actions that target specific characters. Or they can make it built-in the characters themselves, example a Wolverine card that do something like : pay Fist Fist Fist -> Wolverine deals damage based on his attack value to target character (or player? ), move Wolverine to the Used Pile. Use this only if Colossus is Active. Using those examples, its at least plausible. Storm &quot;could&quot; use her powerful winds to throw a character, and Marvel Girl &quot;could&quot; do the same with her telekinetic powers. If you want to put something on the character card itself, just say Wolverine is unblockable when Colossus is active. ...these are the things that compel me to make my own custom cards, and I play with them one time, and stick them in the back of my binder.